6 P.M. – 8:30 P.M.
Help us be your neighborhood ambassador! On Thursday, September 13, approximately 70 stakeholders from CINC and the community as well as notable public officials including Mayor Flynn, Supervisor Zaragoza, Councilman Perillo, C.I. Harbor Director Sandoval and numerous representatives from the City of Oxnard and the County attended and addressed the Los Angeles Regional Water Quality Control Board at the Hearing at the Government Center in Ventura. With speeches, videos and presentations in hand, the attendees, including the City rep, Sandra Burkhart, were prepared with substantive arguments to present to the Board as to why the NPDES Permit issued to NRG, the operator of the Mandalay Generating Station, should not be ended. This State-issued Permit sets forth the environmental regulations which must be met during operation of the steam generating station including its water pumps that are integral to the plant operations. NRG petitioned the State Water Board to end the Permit because all generating operations at Mandalay Bay have been confirmed by the State as closed down. The agenda item, which typically would have been a routine consent item on the meeting’s agenda, was placed on the “Contested Agenda” due to the huge outpouring of community letters sent to the Board. Over 150 letters were noted as having been received. The Commissioners acknowledged this outporing was a clear indication of an engaged and very concerned community. Nearly all who spoke before the Board argued that that Operator had an obligation to “stay at the table” because the cessation of the water pumps has contributed to the “water quality crisis” in Channel Islands Harbor. It was reasoned that the presence of an open NPDES permit would be the incentive needed to bring NRG to the table so that public agencies, stakeholders, and NRG could work out a “Plan B” to replace the loss of the effect of the generating station’s pumps. The pumps, when operating, enabled the south-to-north circulatory flushing of the Channel Islands Harbor. This flushing design was integral to the Harbor’s plan from its start. Upon the cessation of the pumps, the Channel Islands Harbor has suffered a water quality crises. Despite the pleas for “just give us more time to work out an answer before releasing NRG”, the Board voted 5-0 to end the Permit. Citing that they have no legal basis to not release the Permit, the Board concurrently assured the attendees numerous times that it and the Water Board staff will stay involved in the issues confronting Channel Islands Harbor. The Chair, Madelyn Glickfeld, as well as most every Commissioner and the Water Board staff, pledged on-going support to both the public agencies and the stakeholders in terms of expertise, funding and administration and, almost as importantly, “eyes” as to what is going on in terms of water quality deterioration. TO MAKE CERTAIN THIS ISSUE STAYS FRONT AND CENTER. RE: THANK YOU FOR ATTENDING THE WATER BOARD HEARING! CINC thanks every person who so generously dedicated his or her personal time to the attending the meeting! The CINC community acknowledges you because you represented an entire community of concerned about the future of the Channel Islands Harbor. Your attendance, your videos, your voices made a difference. We know because both the Board Commissioners and the Board Staff said so both publicly and privately. Although we did not get the outcome we had hoped for, it was not a surprise as we predicted the Board would vote as it did BUT what we got was the eyes of both the Regional and State Water Board on the very real and concerning situation in the Channel Islands Harbor. It will be a long fight and it is perseverance that will get us where we need to be. The Los Angeles Regional Water Quality Control Board HEARING is on Thursday, Sept. 13th. CINC is holding a “Prep Meeting” the week before on Thursday, Sept. 6th. This is the hearing where the community can speak to the commissioners who will then VOTE to allow the power plant to complete the closure permit. The LARWQB has already sent a position paper “Final Facts” that doesn’t address the unintended consequence of the power plant closure as it relates to the deteriorating harbor water quality. We have asked the Commissioners (who are appointed by the Governor) to require an alternative solution(s) from GenOn (formerly NRG). Our beautiful harbor is in trouble when Oxnard has to prepare boaters to clean up millions of pounds of “fish kill”. Our harbor community did our best to communicate clearly our concerns to the LARWQB by letters and emails. NEXT STEPS: It is time to focus our requests to the commissioners IN PERSON. We need you to attend our CINC “Prep Meeting” if you intend to speak to the commissioners. Like other civic speaking sessions they are limited to 3 minutes and maybe less if there are a lot of speakers. We will be more effective IF we plan and practice together, so join us! LARWQB Hearing -Attend with your neighbors and be there early! OXNARD, Calif.- The City of Oxnard Channel Islands Response Team is monitoring the dissolved oxygen concentrations (and other parameters) at multiple locations along the Channel Islands Harbor on a weekly basis. 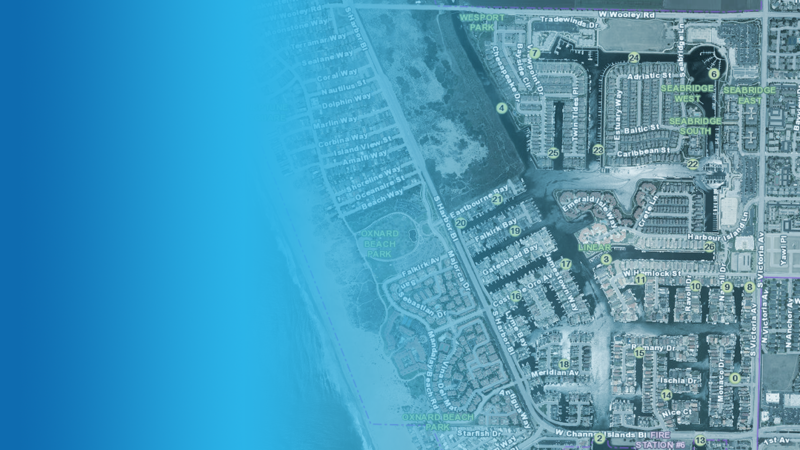 Additionally, on August 6, the City deployed an automated remote sensor in the upper canal between Westport and Seabridge (parallel to Adriatic Street), continually monitoring the water at the site of the sensor to provide 24/7 coverage. The remote sensor has been continuously recording a variety of water quality parameters. The data has indicated that the dissolved oxygen concentrations in the water have been fluctuating daily, with a few low concentrations during the night. Since Aug. 15, the remote sensor has detected a minor but steady decrease in the daily average concentrations of dissolved oxygen. Weekly manual sampling for dissolved oxygen throughout the Harbor by City staff has confirmed these findings. This information indicates a very low oxygen event may be imminent, perhaps similar to the event that occurred earlier in the summer. The ecosystem is also exhibiting substantial, although not unusually high, algal biomass in the water column and water temperatures have increased 14 degrees since the end of June. These circumstances apparently preceded the low oxygen event earlier in the year, so it has also drawn the attention of the groups monitoring the harbor. The public can view the test results at https://arcg.is/08ifCO on a geographic information system (GIS) map. The map contains the location of all the sampling sites and the data collected at those sites. The map also has a legend under the “Test Parameter” button to indicate what a normal range should be for each of the parameters that are being tested. Staff is working quickly to upload as much information as possible. At this time, the dissolved oxygen content, salinity, water temperature, and pH is available. The City of Oxnard is requesting your assistance to be proactive and prepared in case the Harbor experiences another event. We are asking for residents living around the Harbor to watch the water and report anything that seems unusual. We encourage residents to document the change with photos. Low oxygen levels can cause fish to die off in the water. We are looking for boaters who are willing to volunteer their time to remove dead fish from the waters, should this happen due to low oxygen levels. If you are willing and able to assist with either of the above, please contact (805) 385-8226 and email photos to CIHarbor@oxnard.org. 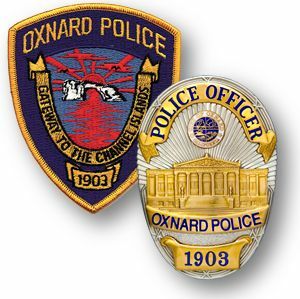 The City of Oxnard is a full-service general law city incorporated in 1903. Oxnard is the largest and most populous city in the County of Ventura, serving 200,000 culturally diverse residents. Read more about the City of Oxnard at www.oxnard.org. Follow us on social media at www.twitter.com/CityofOxnard (@CityofOxnard), www.facebook.com/CityofOxnard and www.vimeo.com/cityofoxnard. Oxnard Hotline for Harbor Water Quality Residents are encouraged to report any odors or discoloration in Harbor waters by calling 1-805-797-7598. Test Results The public can view the test results at https://arcg.is/08ifCO on a geographic information system (GIS) map. The map contains the location of all the sampling sites and the data collected at those sites. The map also has a legend under the “Test Parameter” button to indicate what a normal range should be for each of the parameters that are being tested. [read more in press release] FAQ Along with the GIS map, the City is also releasing a Frequently Asked Questions document to address the most pressing questions being asked by the public. Join your neighbors on Nextdoor!